The Economic and Financial Crimes Commission, EFCC, has secured an interim forfeiture of the sum of fromN1,000,494,000 (One Billion, Four Hundred and Ninety Four Thousand Naira) only. The order was granted by Justice Lewis Allagoa of the Federal High Court sitting in Kano. The forfeiture was as a result of a motion exparte filed by the Commission seeking for the interim forfeiture of the sum of N1,000,494,000 (One Billion Four and Ninety Four Thousand Naira) only found hidden away in the bank account of MAGEL RESORT LIMITED, a company linked to the former first lady of Nigeria, Patience Jonathan. The EFCC received an intelligence alleging that a bank account domiciled in Fidelity Bank, was said to have stored huge sum of money that is not being used by anybody. Upon receipt of the intelligence, the Commission swung into action by conducting preliminary investigation which revealed that the former first lady and some relatives of the former President, Goodluck Ebele Jonathan are Directors of the Company. Others named as directors of the company are Oba Oba Tamunotonye, Goodluck Jonathan Aruera, Goodluck Jonathan Ariwabai and Esther Fynface. While tracing the origin of the money, it was discovered that N500, 000 (Five Hundred Thousand Naira) was deposited on the 20th May, 2015 by Esther Fynface, who is alleged to be in charge of the company while N1,000,000,000 (One Billion Naira) only was transferred in two tranches on the 25th May, 2015 from PAGMAT OIL AND GAS NIGERIA LIMITED a company that is not incorporated with the Corporate Affairs Commission. 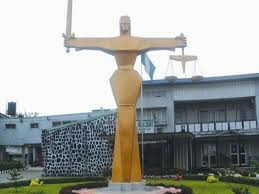 The court order reads that: “An interim forfeiture order is granted to the Federal Government in the sum of N1,000,494,000 (One Billion, Four Hundred and Ninety Four Thousand Naira) only in the Bank account of the 1st respondent MAGEL RESORT LIMITED 4011019546 which is maintained with 2nd respondent Fidelity Bank Plc”.